Warner Ranch is one of those areas where people really love. There’s a great sense of community here. You’ll find great parks and the wonderful Kyrene De La Mariposa elementary school within the community. 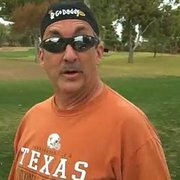 Most of the Ranch is in the 85284 zip code of south Tempe, and some of it is in the 85226 zip code in Chandler. Both of these zip codes are considered excellent places to live, work and play. 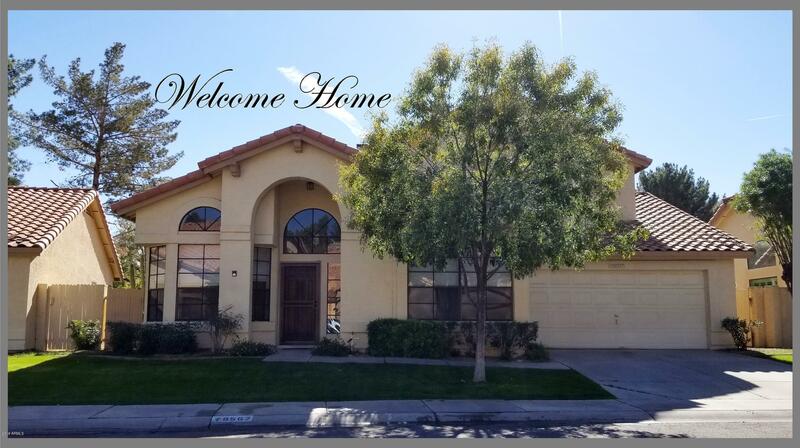 People enjoy the highly rated schools, the miles of parks that are in the neighborhoods, the restaurants that are close by, the proximity to quality jobs and the excellent freeway access that is nearby. There are also community pools in the area. Take a look at the list below of homes currently for sale in Warner Ranch. 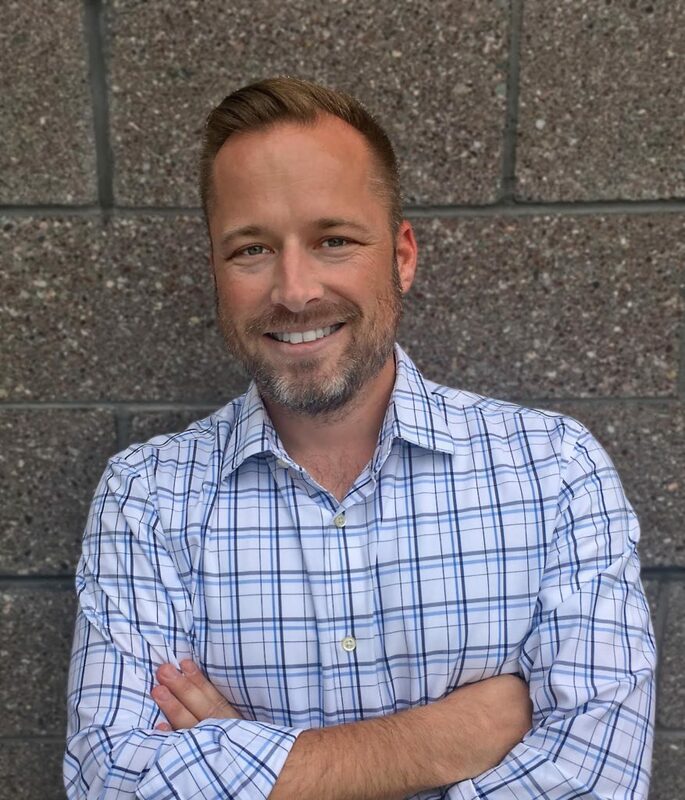 To see any of these homes or to discuss selling your home in the area, please contact Tempe real estate agent Nick Bastian for a confidential consultation of your real estate needs. Nick can be reached at 602-803-6425 or via email at nick @ phoenixrealestateguy . com. Single story gem in desirable Warner Ranch--a beautiful neighborhood with large parks, shady sidewalks and community pool. Property features 2 bedrooms with a open den/office and a great room. Tile floors throughout and lots of storage. Stainless steel appliances: double ovens, built-in microwave, electric cooktop, eat-in kitchen, upgraded lighting, granite countertops. MBR has dual sink vanity, separate tub/shower and private toilet room. Backyard has well-established shade trees, extended patio with awning. Inside laundry and 2-car garage. N/S exposure. Perfectly located for easy access to shopping, freeways, schools and recreation. 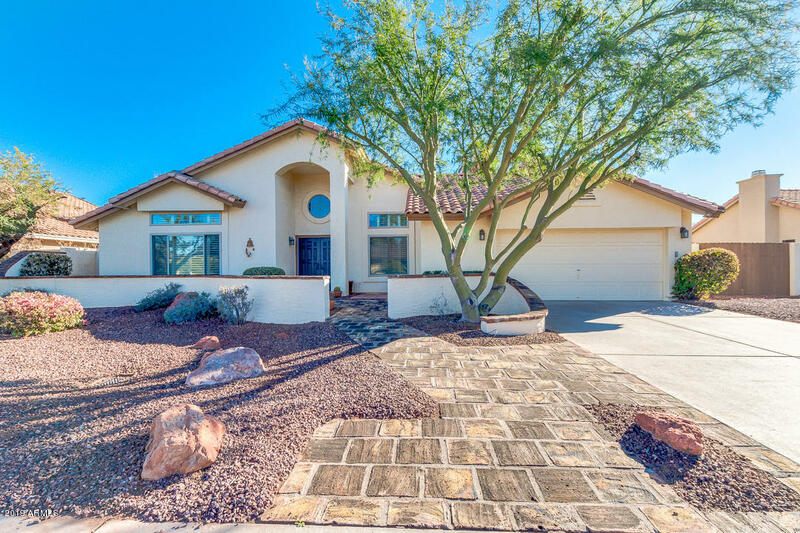 Great opportunity to be in highly desirable Warner Ranch Estates! 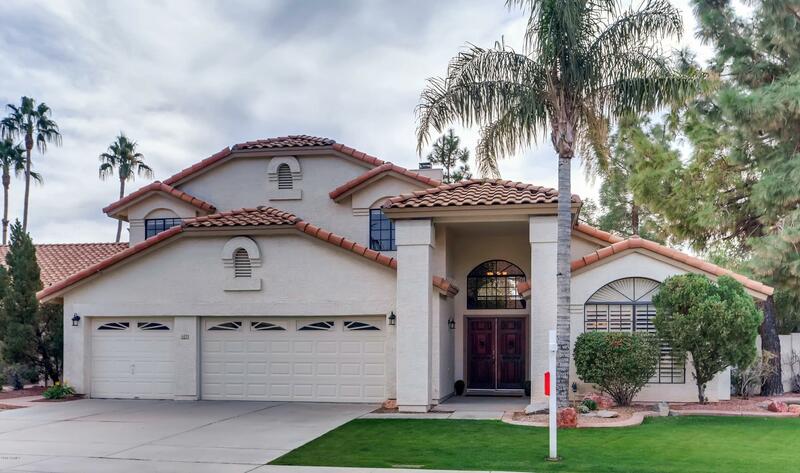 This home boasts 4 beds and 2.5 bathrooms. Welcome home to upgraded flooring throughout main level of the home. 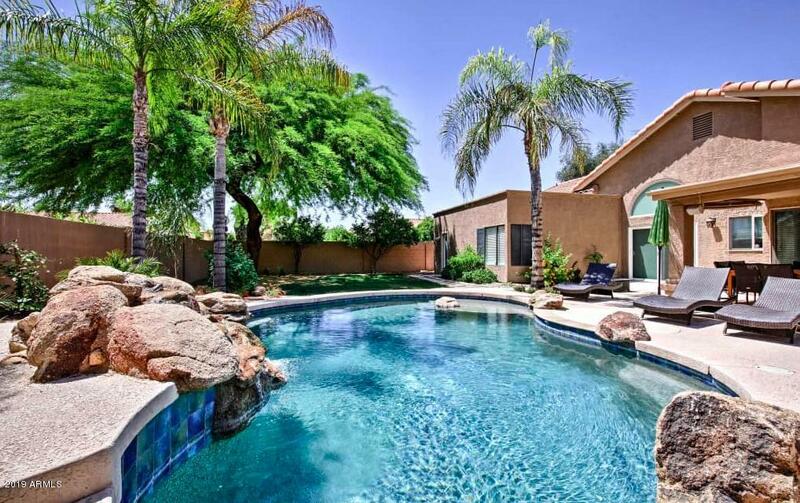 Huge lot of 13,678 sq ft that is like having your own park in the backyard. Home is in the Kyrene School District with the school and park right down the street. Hurry and check this one out before it's sold! 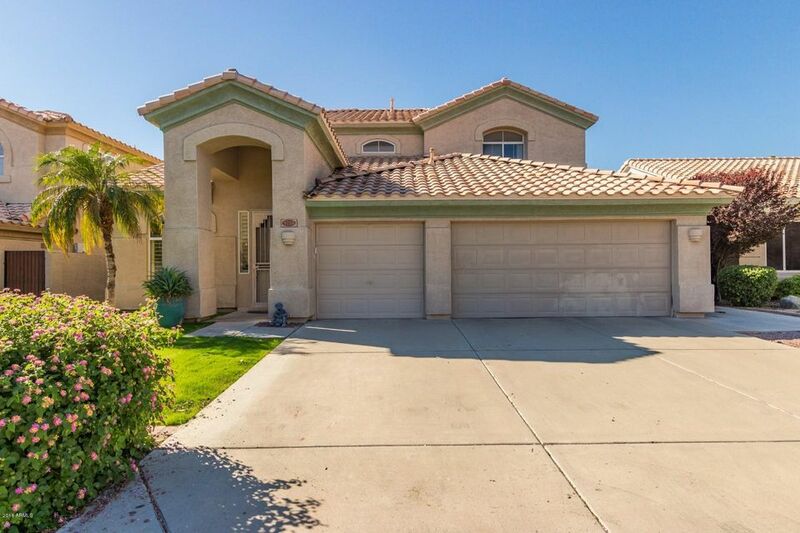 Two Story, 5 bed / 3.5 bath / 3 car garage with cabinets in prestigious Warner Ranch neighborhood, close to all four major freeways. Amazing floor plan, very large family room, you have to see it to appreciate it's size. 4 spacious bedrooms upstairs, 1 bedroom and 1.5 bath downstairs; all bedrooms has ceiling fans and walk-in closets. Downstairs is all tile. 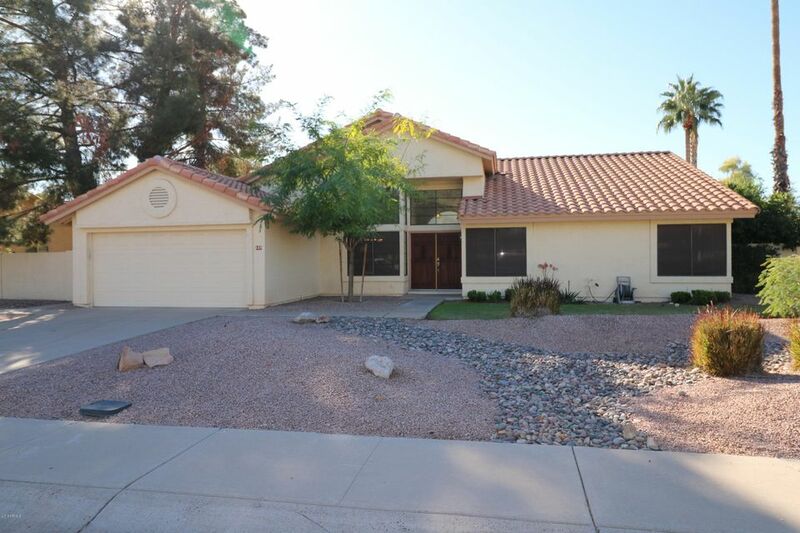 Move in ready and well maintained home, freshly exterior paint; granite c'tops/backsplash, steel appliances. Hunter Douglas homecombe blinds. Expensive chandelier stays with property. PICTURE PERFECT HOME IN WARNER RANCH. GREAT SCHOOLS IN THE AREA, COMMUNITY POOL WITH MILES OF WALKING PATHS AND A LOVELY PARK. GRANITE KITCHEN COUNTERTOPS, REAL HARDWOOD FLOORS, LARGE BACKYARD, CUSTOM SPIRAL STAIRCASE,WASHER WITH PEDASTAL & DRYER INCLUDED, 3 BEDROOMS & 3 FULL BATHS OFFERS SPACE FOR EVERYONE IN THE FAMILY.TENANT OCCUPIED DO NOT DISTURB. Great opportunity to live in this single level Warner Ranch charmer. Spacious and clean with newer plank tile flooring. Den can be 4th bedroom. Open kitchen with modern finishes including painted cabinets, SS appliances, pendant lighting and Corian counters. Low-E windows & HW tank less than 2yrs. Easy yard maintenance, synthetic grass and RV gate. Awesome schools, community parks, close access to freeways. This could be yours! Entry opens to living and dining room with a plethura of natural light. 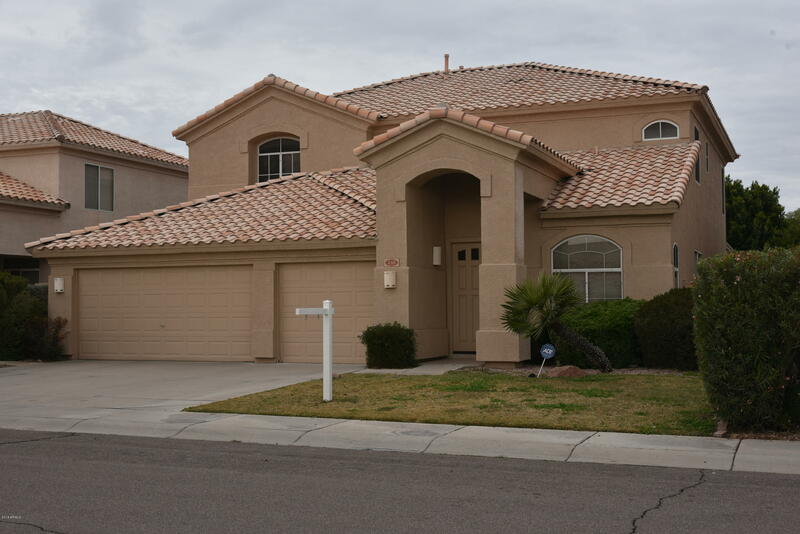 Beautifully appointed floorplan with tile in traffic areas and carpet in bedrooms. 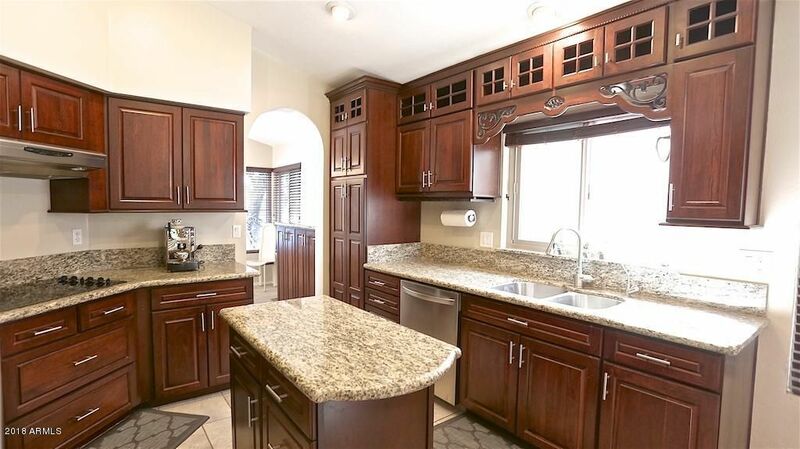 Elegant kitchen cabinetry with breakfast nook open to the family room. Over 10,000 foot lot. Roof replaced 03/2013, A/C replaced 2010, Carpets replaced and interior painted, backyard landscaping refreshed , Pool resurfaced 2016. 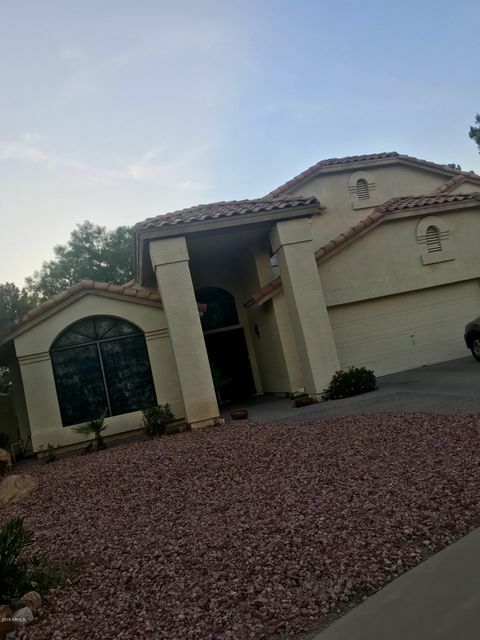 Back yard pool fenced with access to master bath for summer pool playtime, large patio has both fenced and unfenced area. Evocative neighborhood close to the park for developing lasting images, memories and feelings for the new homeowner. Upgraded & backing up to the Greenbelt! Great opportunity to own this 3 bedroom/2 bathroom beautifully maintained property w/ ton of upgrades steps away from community pool & spa: brand new Milgard windows, beautiful wood kitchen cabinets w/ granite slab countertops, new stainless steel appliances, pull out cabinet drawers, new attic insulation, new AC ducting insulation, new energy efficient front door, travertine bathrooms & granite counters , new water heater, 8 yr old AC unit , vessel sinks, custom bathroom vanities and much much more. 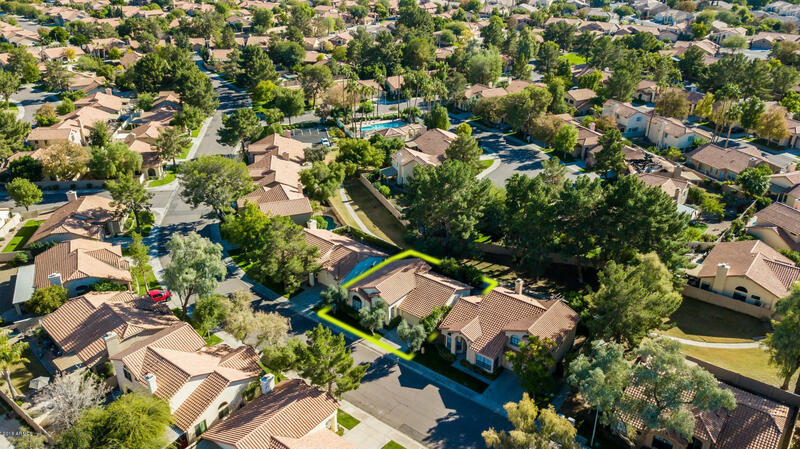 A++ Kyrene School District, city parks & tennis & pickle ball courts, amazing playgrounds, See document tab for recent upgrades, Please note HOA maintains the front yard! You won't be disappointed. Meticulous Sellers! WOW! Upgraded 2 bedroom home with Office which could easily be converted to a 3rd bedroom. Lush Carpet in Living, Dining and Bedrooms. Tile in All walkways, Baths and Kitchen - Wood Shutters. Move in ready. Perfect location across from Community Pool. Double Garage. 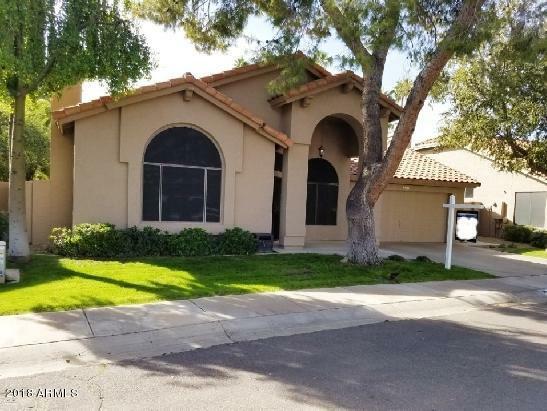 Clean and many upgrades - Great Location and a great home in Warner Ranch - Don't miss this opportunity! 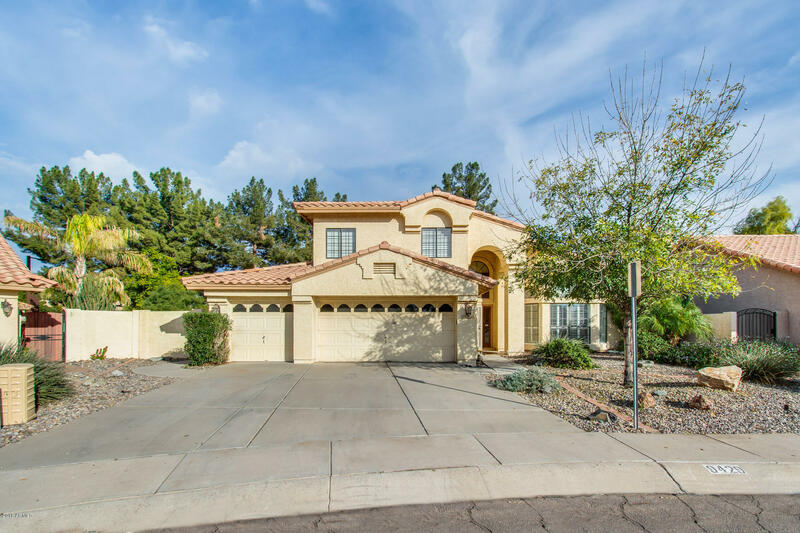 Rare 5BR home in desirable Warner Ranch Estates! New paint, flooring, bath fixtures, ceiling fans - all ready for you to move in! Lots of natural light in this spacious, open floorplan with high vaulted ceilings. Lots of storage too! Convenient downstairs master BR w/bay window, 2 walk-in closets, extended double sink vanity, separate soaking tub and shower. All other bedrooms upstairs - 5th bedroom (HUGE!) could be a game or teen room. Large covered patio, sparkling blue pool w/natural rock diving board and mature landscape make for a relaxing back yard. Community pool too! 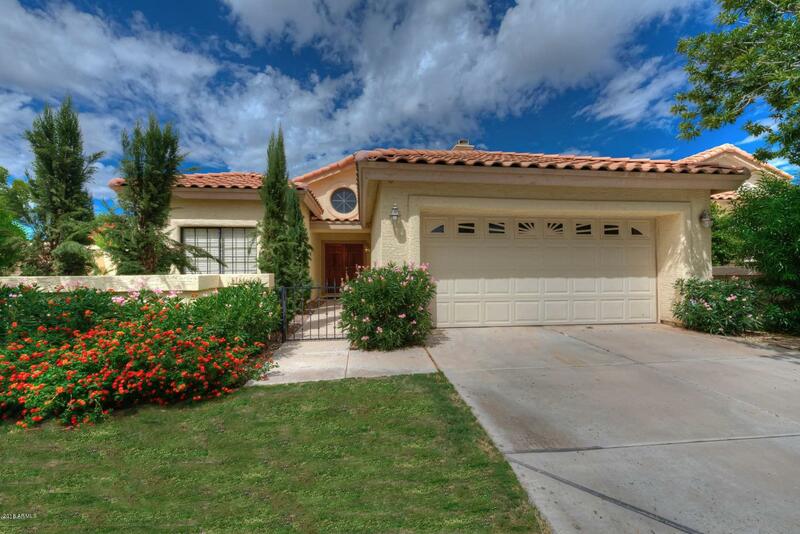 Terrific location near all ''A'' rated Kyrene schools & parks. 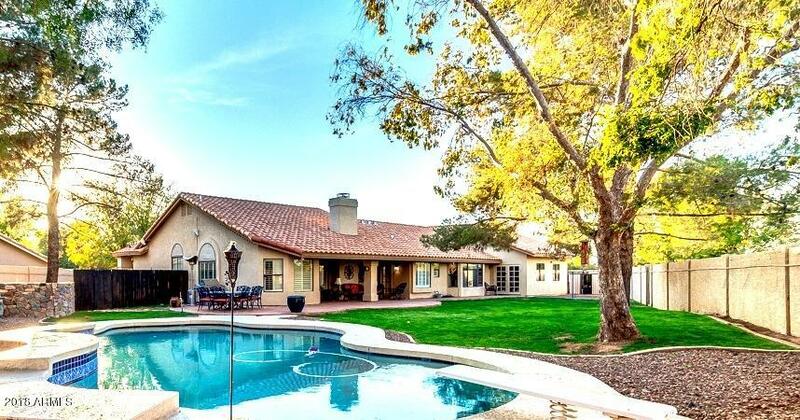 Prestigious Warner Ranch Estate NOW available & waiting for you & your family to MOVE right in. 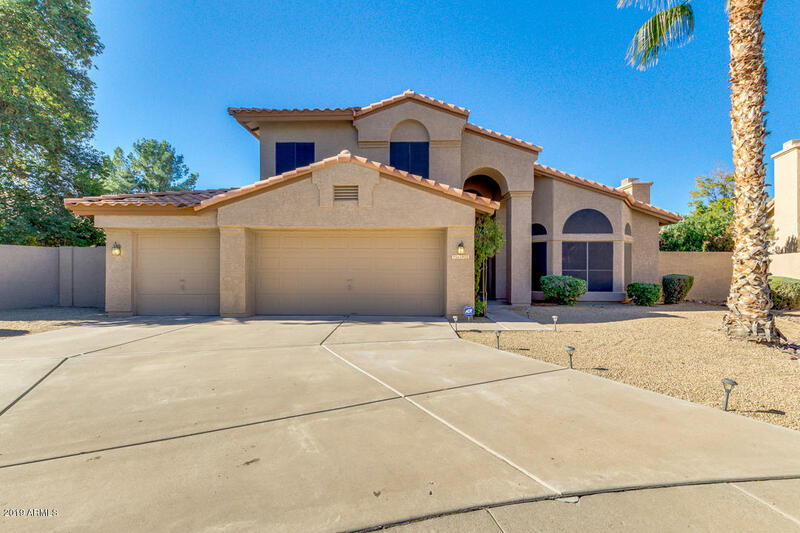 This beautiful nearly 3000sf home has 4 beds, 3 baths, office/den, 3c garage, pool, balcony, PRIVATE lot on a Cul-De-Sac. Vaulted ceilings, 2 fireplaces, bay windows, new paint in & out, & many upgrades! (SEE UPGRADES LIST UNDER DOCUMENTS TAB). Open KITCHEN offers ample cabinetry, a pantry, GRANITE countertops, TILE backsplash, matching stainless steel appliances & a breakfast bar ISLAND. Mstr bedrm boasts private BALCONY, garden tub, custom double sinks, custom walk in shower & closet. Fall in LOVE in your amazing outdoor backyard space with grass area, covered patio, fenced pool & separate patio area for BBQ, fire-pit, table & chairs or outdooor furniture. Great for entertaining! Come See it!